My Favorite Films of 2011 are posted here, but like any good film buff, I also watched a whole lot of non-2011 films. Here are some of my favorites of those first-time watches in loosely descending order (more favorites at the top). I didn’t limit this to a specific number. If I feel like it’s worth mentioning and I want to write a few words about it, it’s on here. I had a feeling I was going to like this film, just based on how much I’ve liked Jean-Pierre Melville’s other films, especially Le samourai, which, if I recall correctly, topped my favorites list in 2010. I had no idea I’d like it as much as I did. Melville weaves several plotlines together, involving a criminal just out of prison, the mob he steals money from, a detective chasing a different escaped con, a former sharpshooter cop who’s now an alcoholic, and more. Each of them has their own narrative rise and fall, and each character has their own arc, but they all interplay in an incredibly intricate way, as different ones join up on a heist (one of the best heist sequences in cinema) and others try to track them down for their own reasons. It’s hard to explain, but very easy and clear to watch. Brilliant work on all levels. This film just missed my 2010 best of list (I saw it mere days after last year’s posts were made), but it would’ve ended up about #4 on that list. It might be even higher now. The film parallels the beginning and end of a single romance, Ryan Gosling and Michelle Williams (both in career-best performances), juxtaposing the courtship and the break-up of this couple to incredible emotional effect. Despite the temporal contrivance, the film is incredibly raw and realistic, with no easy answers for what causes a couple who seem so perfect for each other to hit the skids so badly. It’s heartbreaking and beautiful at the same time. Why in the world did it take me this long to watch this movie? That phrase actually applies to the next two as well, but the prestige of those two be darned, this is the one that I can’t get out of my head. 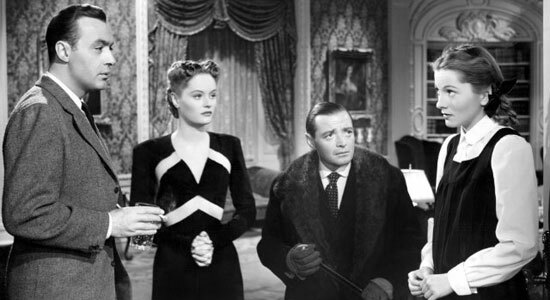 The tales surrounding it are as legendary as the film itself, playing on the long-standing bitter rivalry between Bette Davis and Joan Crawford, who here play two aging showbiz sisters who have a long-standing bitter rivalry. 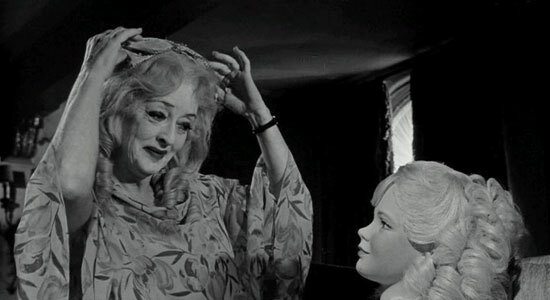 It may be high camp, but this is quite possibly Bette Davis’s best performance – it’s mean and grotesque and pitiful and naive. And the movie itself is quite possibly the best example of Hollywood gothic, yes, even giving Sunset Boulevard a run for its money. There is a reason I’d been avoiding watching this classic must-see. I’m not a big Brando fan. 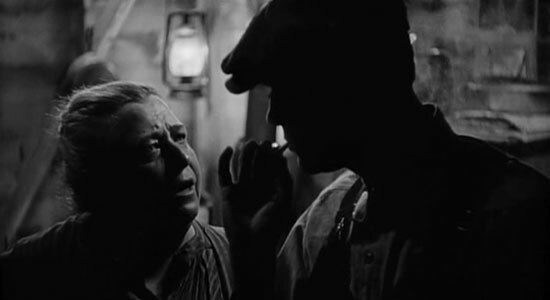 I’d seen On the Waterfront, Sayonara, The Godfather, and more, and I just didn’t really get the whole Brando thing. But I finally sat down with this one and suddenly GOT IT. He’s utterly magnetic here, and the film is far more stylistically interesting than I’d expected. It wears its stage origins on its sleeve, but in a heightened way that works, and the clash of Leigh’s old-school Hollywood acting with Brando’s muttering animalism is palpable. Now I want to go rewatch all those other Brando films – I bet I’ll like them more. And the reason I’d been avoiding this one was simply that I figured it’d be depressing and Important Movie-esque. (Also I dislike Steinbeck based on “The Red Pony” traumatizing me as a child.) Wrong on both counts. It’s certainly not a happy peppy movie, and a ton of bad things happen to this Dust Bowl family, but I wasn’t prepared for how gorgeously this is shot (Gregg Toland, should’ve known) and how intense it can be, sharing in this family’s troubles and little joys, as well as dealing with the subplot of Tom Joad’s fugitive status. His final speech is justly praised, but the whole thing is pretty great. Often cited as one of the prime examples of the haunted house mystery comedy, a genre that was apparently prominent in the silent era, and rightly so. Simply a ton of fun from start to finish, as a group of people gather in a long-deserted mansion to read the will of their crotchety old relative. There are threats of insanity, a murderer running rampant, an asylum escapee on the loose, plus various positive and negative interpersonal interactions among the varied potential heirs. Moody cinematography counterbalances the humor in the plot. I always enjoy Cinefamily’s Silent Treatment nights because I get to see films that are rarely if ever screened and aren’t on DVD, plus learn a bunch about silent cinema and 1920s Hollywood and chat with film archivists. I’m always appreciative of the films I see, but to be honest, a lot of times, they’re mostly of historical significance. This is an exception, because this film is gangbusters fun. Directed by Cecil B. DeMille, it’s the story of a clashing set of teenagers – one the leader of a group of young Christians, the other the leader of a group of Atheists. After the groups get in a riotous fight, they’re carted off to reform school, where they get to know each other. Frankly, there are like five or six sections of story (and tones!). But they’re all crazy and fun, and it ends with a massive escape/chase sequence followed by a climactic fire. Seems like every year a film I’ve never heard of wins Best Foreign Film at the Oscars, upsetting one I either wanted to win or thought was a shoo-in. And then every year when I get around to seeing the actual winner, I’m blown away. This is an extremely solid mystery/character study of a detective flashing back to that one case, you know that one he never quite managed to solve. It’s tough to find the balance between mystery and character in films, but this one does it wonderfully, and with a lot of style to boot – just wait for the seemingly one-take stadium shot. It’s incredible. I happened to be volunteering on a night when Cinefamily screened this film, which I’d never heard of and knew nothing about – I hadn’t even read the blurb on the Cinefamily schedule. I stuck around to watch it anyway, and I’m certainly glad I did. An almost silent picture, depicting the day-to-day lives of a family struggling to maintain their farm on an unwelcoming island. 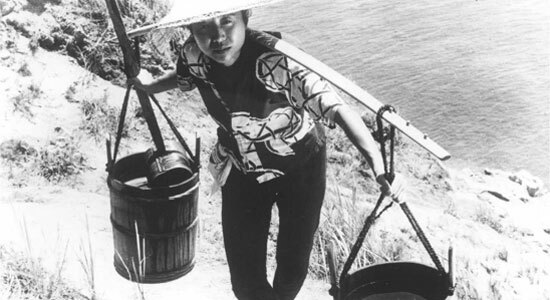 Much of the film is just watching them cart water from the mainland, carry it up a treacherous hill, and water their crops one at a time. Sounds boring, but it isn’t, and when larger events do happen, they hit you like a ton of bricks. A sweet and simple ode to the entertainments of the past, the pleasures that progress has robbed us of in search of bigger, faster, louder thrills. The main character, once a popular vaudeville magician, finds himself less and less wanted as rock bands and television replace his craft – all except for one little girl, entranced by his magic. 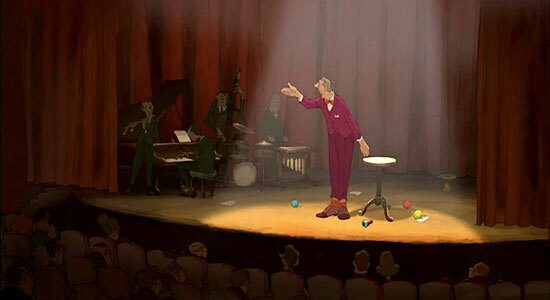 Like Sylvain Chomet’s previous film The Triplets of Belleville, The Illusionist is almost silent – as befits its origin as an unproduced script from Jacques Tati. Charming, simple, warm, and wistful. Also known as Chloe in the Afternoon, this is one of Eric Rohmer’s Six Moral Tales films, and so far, I think it’s my favorite. Each of these films presents some sort of moral dilemma, but not in a didactic way – in this case a happily married man daydreams about other women, with no intention of taking action – until his friend Chloe decides to seduce him. Like most French New Wave films, it’s emotionally aloof in such a way that you actually end up supplying the emotions yourself, and this one presents its characters without judgement, but with a great deal of fairness and empathy. I love New Wave noncommital-ness, and this is right in my ballpark. I already knew director Carol Reed was more than just The Third Man, from having seen The Fallen Idol, but this would’ve clenched it – Night Train to Munich is a WWII spy story with double agents, concentration camps, undercover espionage, and daring mountaintop chases, all of which it does with a wit and panache that set it apart from most other spy films. It’s classy and silly and genuinely thrilling. Also, and this is not unimportant, it knows when to stop and doesn’t clutter everything up with needless denoument and codas. 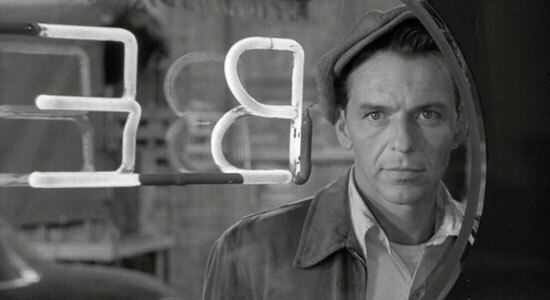 Frank Sinatra may have already won a Best Supporting Actor Oscar for From Here to Eternity two years earlier, but with this film he really cemented his standing as an actor. Pushing the envelope of the Production Code, the film tells of Frankie Machine, a card dealer and drug addict who just wants to get clean and play the drums, but he can’t get out of the gambling game – tied in by debts and drugs and a shrew of a wife. 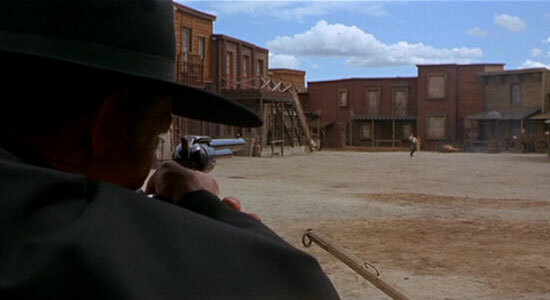 It’s not always easy to watch, and it does have an old-school realist melodrama angle, but when it’s on, boy is it on. The withdrawal scene gave ME the DTs. Director Neil Marshall continually impresses me with his genre films, and this one was no different – a group of girlfriends tries to reconnect after one of them experiences tragedy by going spelunking. But in an unknown cave, anything can happen, and everything does. This film is great on every level, with the dangers of the cave itself creating enough intensity, but the film is hardly content to stop with that. The pacing, the use of sound design, and the thematic content all raise this film above your standard horror thriller. Easily the most accessible Guy Maddin film I’ve seen so far, and thus my favorite, at least until I get more accustomed to his extremely unique style of filmmaking – this time he takes us on an idiosyncratic tour of his hometown of Winnipeg, a surreal blending of his childhood, his attempts at recreating his childhood to deal with past trauma, and legends and stories of the town itself. It’s associative, bizarre, dreamlike, and definitely an experience. I totally did not expect to enjoy this film as much as I did – I had it mentally lumped in with a bunch of other early ’90s comedies that just struck me as stupid and juvenile, but Jonathan convinced me to watch it, and yeah. This one is much smarter than it seems on the surface, with a lot of clever writing and meta humor that worked like gangbusters for me. Jonathan already quoted this one a bunch (leaving me shrugging my shoulders in ignorance), but now we’re quoting it together ALL THE TIME. See our “He Says, She Says” post. Another hit from the Silent Treatment folks at Cinefamily, this one has Leatrice Joy (no, I’d never heard of her) in a double role as a bored rich housewife who wants to be an actress and a poor browbeated actress who just wants some peace and rest. Yep, you guessed it, they run into each other and decide to switch places for a bit, since the rich woman’s husband is out of town anyway. Surprise, he comes back and wants to take his “wife” on holiday. More mix-ups ensue, with a lot of sly innuendo and some great comic timing from all involved. It’s frothy, but great fun, and one of my favorite new-to-me silents of the year. I hesitate to put this movie (a big-screen film to go along with the campy ’60s TV show) into the “so bad it’s good” category, because I think the people who made it knew exactly what they were making, and did it all – the cheesy line readings, the over-abundance of villains, the ridiculous plot elements – totally on purpose. There’s no way they didn’t, there are too many self-referential jokes (“some days you just can’t get rid of a bomb”). 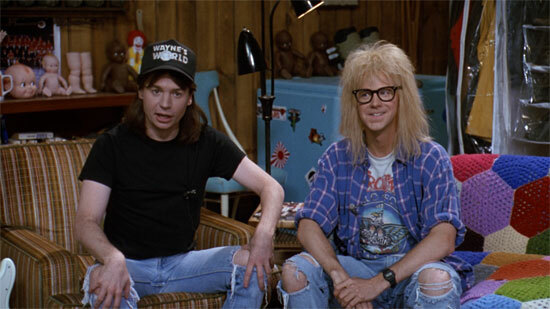 If you go into this with the same kind of pure enjoyment of ridiculousity that they did, you’ll have fun. I sure did. I’m lumping these two together because it’s hard not to. 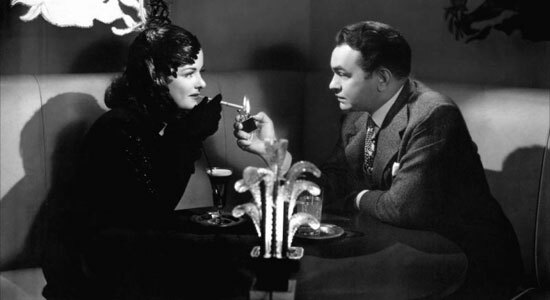 In 1944, Fritz Lang got together with Edward G. Robinson, Joan Bennett, and Dan Duryea, and made a quiet little noir film about a middle-aged man who falls for a younger woman and gets drawn into a crime because of her. It worked out so well. They all got together and did the same thing the next year. The details of the plot are different of course, but that trajectory is the same. Both films are solid noirs; it’s hard to rank them against each other, though, because WotW has a better and more interesting plot overall, but has a serious cop-out ending, while SS follows through on the ending beautifully, but has a less interesting/believable plot throughout. Both worthwhile, though, especially for noir fans. Cinefamily did a series on the Czech New Wave a couple of years ago, but either they didn’t play this Milos Forman entry, or I missed that night. But seeing a few of those definitely gave me a taste for them, and I went into Loves of a Blonde with high hopes – which were not misplaced. 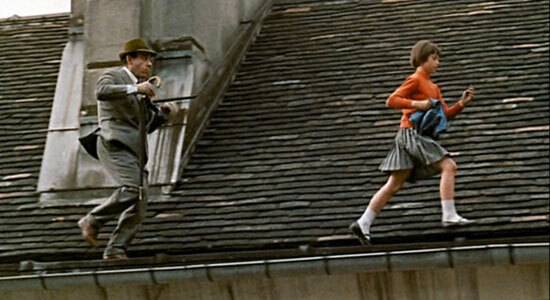 With definite French New Wave influences, the film basically follows a young girl in a rural factory town in Czechoslovakia, who eschews the middle-aged men who remain in the town after most young men have been conscripted in favor of a pianist from Prague. But the story is less important than the individual scenes, vignettes like three leches macking on girls at a factory-sponsored dance, the girl getting lectured on propriety back at her hostel, and the encounter with the boy’s parents when she arrives unannounced on his doorstep. Take the focus on the youthtful and mundane from the Nouvelle Vague and add in a specifically Czech-under-communism austerity, and that’s this film. This can kind of stand in for the entire Up series of documentaries – it’s difficult to judge them separately, and this is the most recent one (though if they stay on schedule, 56 Up would be out this year). The premise of the series is that in 1964, a TV production team got a group of fourteen British 7-year-olds from different regions and class backgrounds and interviewed them on various topics. Every seven years they’ve gone back and interviewed the same people (though not all of them have agreed to be in every episode). It’s fascinating, both in the ways it upholds the original premise that a child’s future is set by the age of seven, in terms of societal status, and the ways it subverts those expectations – not to mention how it delves into the nature of documentary filmmaking itself. 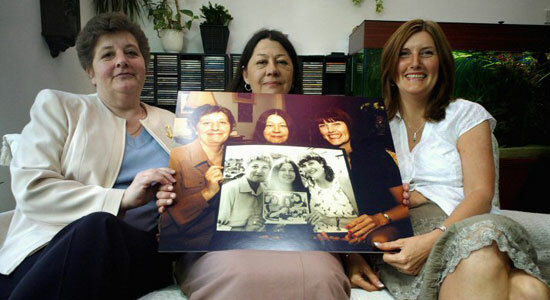 I don’t like documentaries that much, and this one is largely talking heads, but it is absolutely entrancing. After being a huge fan of Agnès Varda’s Cleo from 5 to 7 last year, I wanted more Varda, but I put off seeing this one for a good while, largely because it just looked freaking depressing. And yeah, it kind of is. It’s about a twenty-something girl who roams the roads, hitchhiking, sleeping wherever she can, working for a while or living with people as she’s able. But the film opens with her dead in a ditch, then backtracks to how she got there, so you know it isn’t going to romanticize the life of the open road. 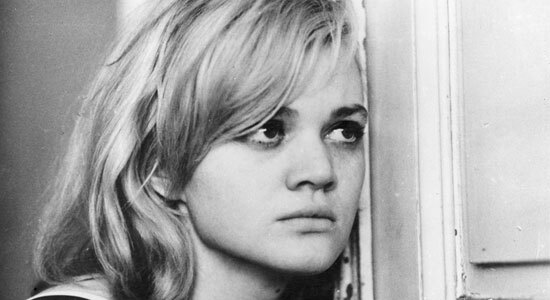 Even though this was made long after the New Wave’s heyday, it does have that same kind of non-committal sympathy that works so well for me – Varda isn’t going to manipulate you into feeling sorry for the girl, she’s just going to show you want happened and allow your feelings to grow naturally. She’s not always an attractive character – often being rude or dismissive to those who would help her, until it’s too late – yet Varda’s technique works. It’s a really powerful, often hard to watch, but very rewarding film. 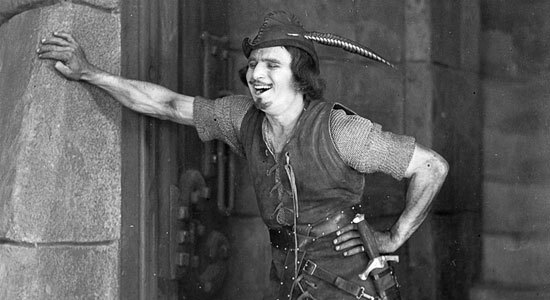 I couldn’t pass up a chance to see a bunch of Douglas Fairbanks silents at Cinefamily earlier this year, and I think this was my favorite of the lot – it tells a good bit of the backstory to Robin Hood, depicting Robin of Locksley’s friendship with King Richard and his falling for Maid Marion before Richard ever went off to the Crusades, allowing Prince John to oppress the people and create the need for Robin Hood. Some of that gets a little long, but it’s a nice setup that most versions of Robin Hood skip over. After that, it’s really pretty similar to the Errol Flynn The Adventures of Robin Hood, but Fairbanks is even more athletic and exuberant than Flynn. I still don’t quite know what to make of this early Louis Malle film, but I know I enjoyed watching it, and will likely enjoy it even more on future rewatches. Taken from a Raymond Queneau book (he was a prominent literary experimenter), the film is delightfully absurd, with basically no plot stringing along its series of nonsensical vignettes. It’s definitely got that New Wave sensibility that appeals to me so much, but I’m sure there are also satirical elements that slipped by me entirely. Even so, it was a whole lot of fun. Finally got around to this horror classic this October, after meaning to for the past two Octobers and failing. Despite knowing all about the bullying and the prom scene already, this film was a LOT different than I was expecting. The crazy mother, for one thing, and then the whole ending that went on much past the prom scene and complicates it a lot. In some ways, I didn’t like where the ending went, but I am highly intrigued by it and wish people would talk about it more, rather than just accepting the film as a pro-feminist revenge-on-bullies story. 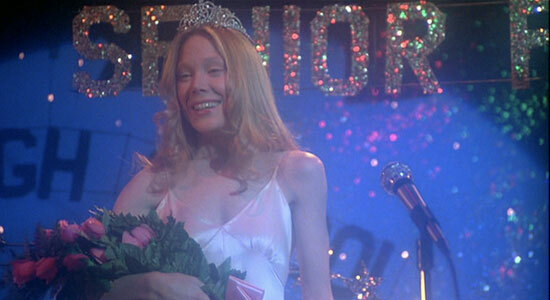 In any case, the film is really effective at putting us on Carrie’s side through Spacek’s wide-eyed performance and the agonizing yet lovely leadup to the climax at the prom, even if DePalma does overdo the visual flamboyance when he doesn’t really need to. I have a love-hate relationship with Robert Bresson. I love Pickpocket, but really dislike Lancelot du Lac and felt pretty ambivalent towards Diary of a Country Priest. This one seemed more on the Pickpocket wavelength, and sure enough, it joins the “love” side of Bresson’s filmography for me. The film takes its time, as the main character is member of the French resistance imprisoned by Nazi forces, who works carefully and patiently to plan and execute an escape. Despite the slow pace, though (something Bresson is known for generally), this film maintains tension perfectly, and doesn’t get dull at all. When Jonathan found out I had only seen the first Back to the Future film and that I hardly remembered any of that, he sat me down with the whole trilogy almost immediately. Not only did I enjoy the first one a lot more than I initially had, but Part II instantly joined the ranks of sequels that are better than the originals. The way that II coils back on I with amazing intricacy is great, but I was also really taken by the future world (which is NOW, by the way, if you work the dates out…I’d say we failed to progress in certain areas quite as much as expected, but maybe we’re better off in other ways). Of course, being the history nut that I am, I also really enjoyed Part III, but not quite enough for it to make this list. It’s hovering right below it. Long before David Lynch (Blue Velvet) or Sam Mendes (American Beauty) satirized the underbelly of American suburbia, Nicholas Ray brought this scathing attack against suburban values – or the veneer that suburbia tries to uphold to hide the darker things lying beneath. Here James Mason secretly works two jobs to support his family, but a malicious disease takes its toll on him, the only thing that helps being large doses of painkillers – which he becomes addicted to. He eventually devolves into madness, and yes, there’s quite a bit of melodrama in the film, but if you go along with its excesses, you’ll find one of the darkest films about the ’50s ever made. I’d never heard of this noir film until a friend lent it to me, but hey, Robert Wise usually makes good pictures, right? Right. 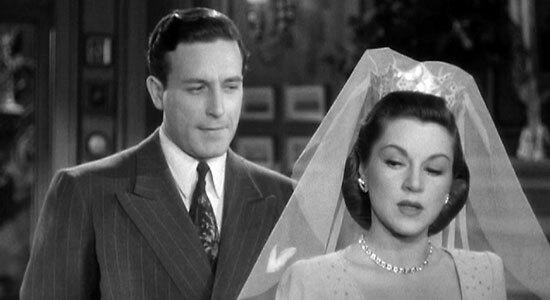 The always-impressive Claire Trevor leaves town after she finds a friend murdered, not wanting to get involved, but unbeknownst to her, the murderer (her friend’s jealous boyfriend) is insinuating himself into her life, ALSO not knowing that she knew the victim. It’s a crazy mess of fate, mutual attraction and repulsion, double-crosses, and both a femme fatale AND an homme fatale. 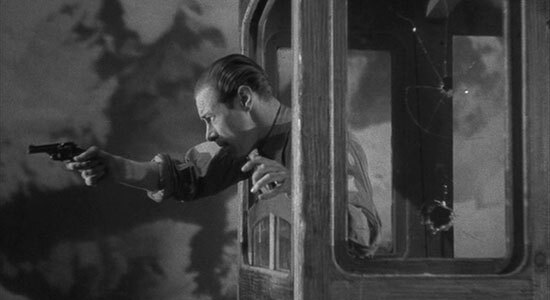 Plus, Elisha Cook Jr. in a meaty supporting role. A lesser-known noir this may be, but that’s a mistake – it’s definitely one of the more interesting ones I’ve seen. After making a splash with the Czech New Wave (see Loves of a Blonde, above), Milos Forman made his way to Hollywood success with One Flew Over the Cuckoo’s Nest and Amadeus. 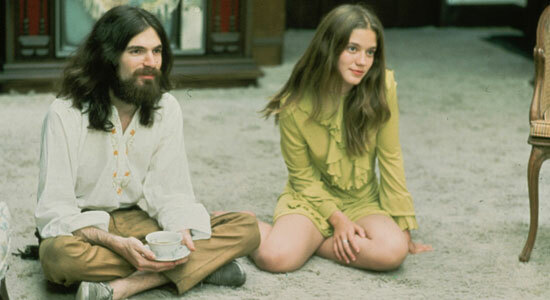 But first he did this little-known film, his first in the United States, about a teenage girl who runs away to be part of a group of hippies, and her parents trying to find her. It’s got its ridiculous parts (which have a strange tendency to turn sublime, like the scene where all the parents learn how to smoke a joint to try to understand their children better), but it’s ultimately a quite moving and wistful portrait of two generations, and the longing of both to find meaning and connection. Long kept out of circulation due to rights issues, TCM finally got it worked out to show this Oscar-nominated Joan Fontaine film at the TCM Film Festival this year, and it was pretty great to see it with a whole crowd of people who’ve been waiting for it for a very long time. It’s a bit of an unusual film, though, with Fontaine a spright of a girl who breathlessly falls in love with a family friend who still thinks of her as a child. It’s chockfull of melodrama, but Fontaine plays it all with such eager naivete that it’s impossible not to like her, despite the underlying ick factor their ages make kind of hard to ignore. Hyped up at the TCM Festival for being Cary Grant’s debut feature, there’s a lot more than that here to like. 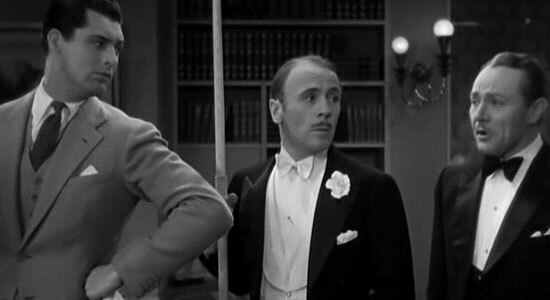 Basically playing second lead to Roland Young’s hapless gentleman, Grant is an athlete whose wife Thelma Todd is stepping out with Young (no, it’s not believable, just go with it), but in order to keep Grant from finding out, Young hires an actress to pretend to be his wife. 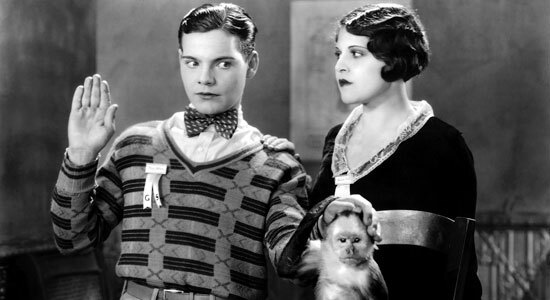 It’s convoluted, but thanks to a stellar lead and supporting cast and a solid script, it’s as witty and charming as any 1930s movie – it’s unfortunate that it’s so little known. Definitely deserves a look. Silly and nonsensical story? Check. Ridiculous line readings? Check. Cheesy stop-motion effects? Check. 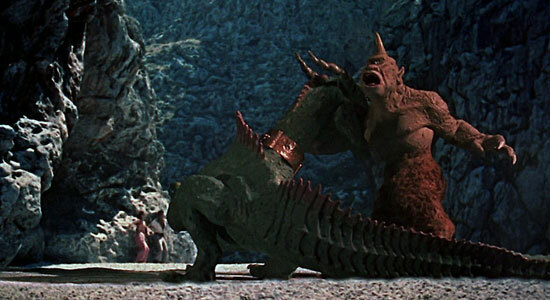 Actually, the special effects are kind of awesome, I love watching stop-motion animation. 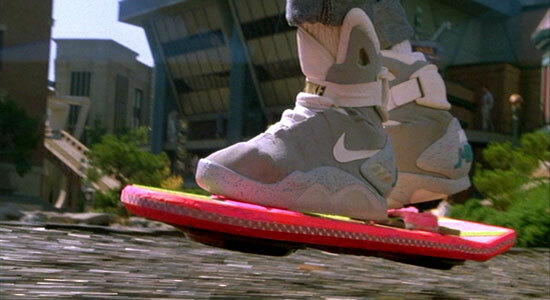 It’s not believable, but it has a tactile charm that CGI loses along the way. The story here is basic fantasy adventure stuff with sorcerers and princesses and giant monsters, but it’s all in good fun, and I had a great time watching it. I’ve tried to watch Yasujiro Ozu’s Tokyo Story (generally touted as his best/most important film) at least two or three times and always failed, getting bogged down in my lack of knowledge of Japanese culture and the film’s deliberate pacing. 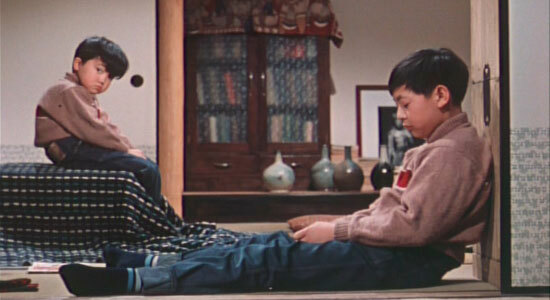 A friend suggested I start with Good Morning instead to get into Ozu, and that was an excellent suggestion. This is a sunny, funny film, the loose plot centered on a pair of kids who want a television more than anything, but with plenty of time given to other vignettes around their apartment area. Charming and breezy. I mostly snuck this one in here just because I was shocked at how much fun this film is – I thought it was just gonna be a horror film (and I knew the basic “don’t feed them after midnight” premise), but it’s REALLY goofy, and that’s what I liked about it. 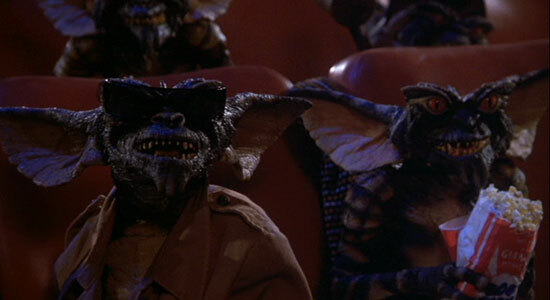 I loved all the inventions, I loved the gremlins having fun at the movies, I thought all that stuff was great – even more so because I had no idea it existed. Wow, what a post. Thanks for your reviews. Great job, that was an epic recap. I saw a fair few of those for the first time in 2011 too. I also agree with you about Bresson, some of his most liked works don’t do it for me, but A Man Escaped is outstanding. Thanks! I really enjoyed putting it together. 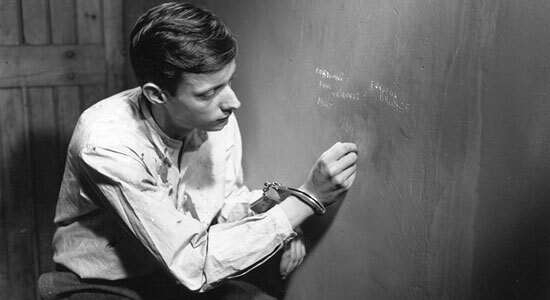 Bresson is a tough nut for me…a lot of times he just seems to be really angsty about kinda boring things. But with the crime/prison elements in A Man Escaped and Pickpocket, they work like gangbusters. I still need to see Au hasard Balthazar. I’ve heard that one’s really good. But I don’t know if it’s good like A Man Escaped, or “good” like Diary of a Country Priest. I fear the latter. There are so many good movies in this list and far too many to comment about here. So I’ll just pick a few. 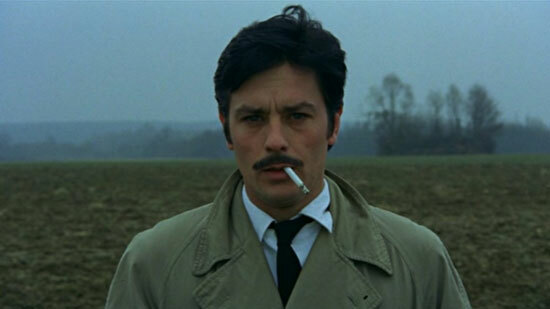 I saw Le Cercle Rouge in the theater when it was re-released, and it’s a great movie. Have you seen Bob Le Flambeur? 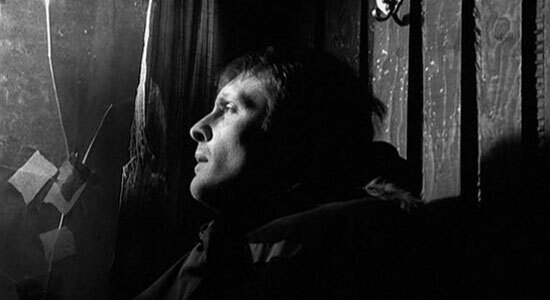 That’s another excellent movie from Melville. I was really surprised by how much I liked The Secret in Their Eyes. It seems to be a straightforward police procedural, and it ends up becoming something entirely different, and much greater than just a detective story. 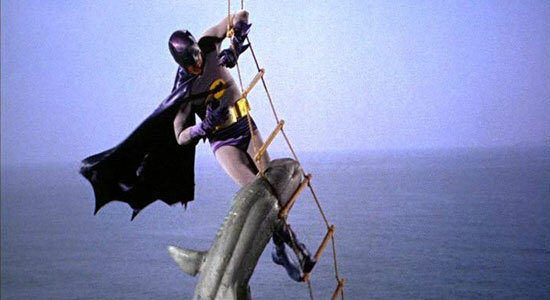 Finally, I have to agree about Batman the Movie, which is just a classic tongue-in-cheek film. I love that line about the bomb, especially when you combine it with all the obstacles placed in Batman’s way, including kids and a group of nuns. It’s such a fun movie. I have seen Bob le Flambeur – it’s pretty great. I don’t like it quite as much as Le Samourai or Le Cercle Rouge, but it’s definitely solid. I should really rewatch it now that I’ve seen more Melville. One I really need to catch up with is Army of Shadows. Yeah, I totally agree with you about The Secret in Their Eyes. 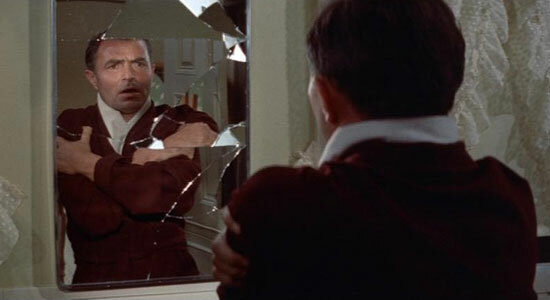 Most of the time I don’t like when mystery/crime movies spend way more time with the detective’s own personal problems and angst than with the actual mystery, but the way everything integrated together in Secret was fantastic. What a great idea for a feature! I may have to do some recognizing of the non-2011 flicks I saw this past year as well. Zazie dans le Metro would be on it for sure, so glad Criterion released that! Agreed! I have been dying to see Zazie for AGES. I think it used to be a New Yorker-distributed film, a lot of which have gotten stuck in distribution limbo. Hopefully other New Yorker films can make their way onto Criterion at some point. I’m not sure why it won’t let me reply further, but continuing on about Bresson, I highly recommend Four Nights of a Dreamer, an amazing film that sadly seems to have been forgotten or lost. I had to watch it from a copy of a copy of a VHS tape, but it’s definitely worth it if you can get your hands on it. I have the comments set to only nest one level; I was getting nested comment threads that just got ridiculously thin – one or two words per line. I wish Disqus would let you still reply past the second level, but just display them flat instead of nested. Kind of annoying. Thanks for the rec! I’ve never even heard of that Bresson film. If it pops up anywhere, I’ll make sure to check it out.